Yesterday I started out thinking I was going to be working on a "Plain Jane Cupcake", when my painting took a different direction. 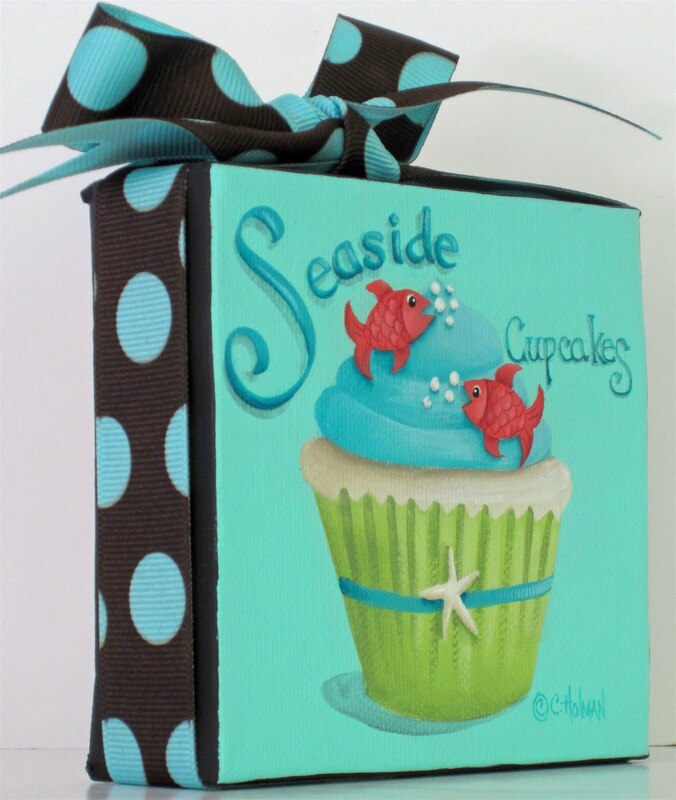 I usually start out with a pretty clear picture in my head of what I want, but as I started picking out colors and applying them to the canvas, I realized these colors were more suited to a "Seaside Cupcake". This idea just popped into my head and here are the results. I listed it on eBay last night for those of you who are interested in the original. Tiny bubbles pour out of the mouths of cute little fish accenting the top of this tropical cupcake. What a cute cupcake painting for your seaside cottage retreat! I'm not sure where it will go because I don't have any pink in my house. I'm sure I'll figure it out though. 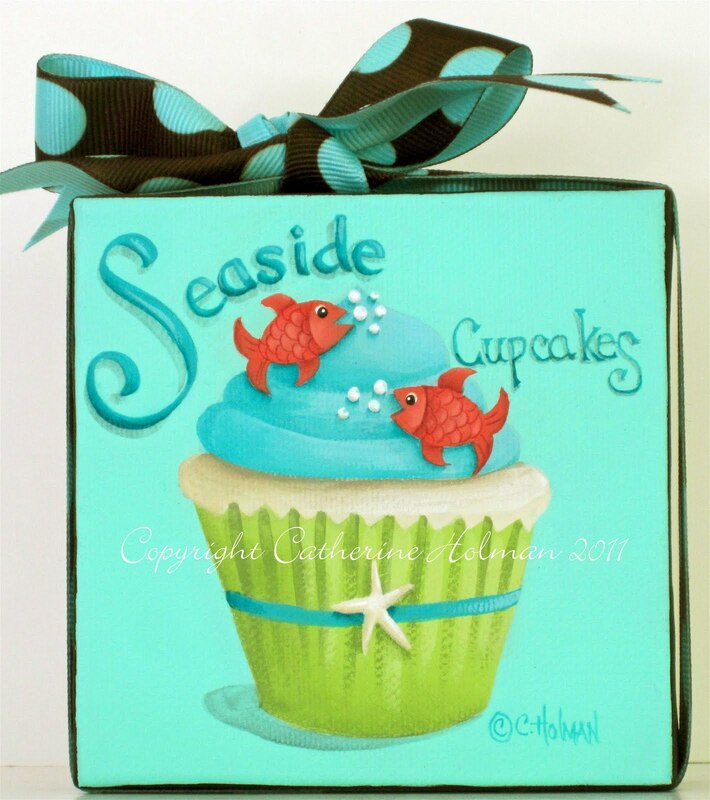 Cathie, your seaside cupcake has all the colors I love in it!!! It is so cute! I love your pillow too-you did an awesome job!! Congratulations! 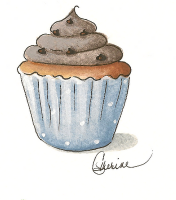 I love your blog, I am a regular follower, beautiful cupcake painting. Love your summery seaside cupcake! The colors are wonderful. You cupcake is adorable, and your pillow quite an acomplishment. 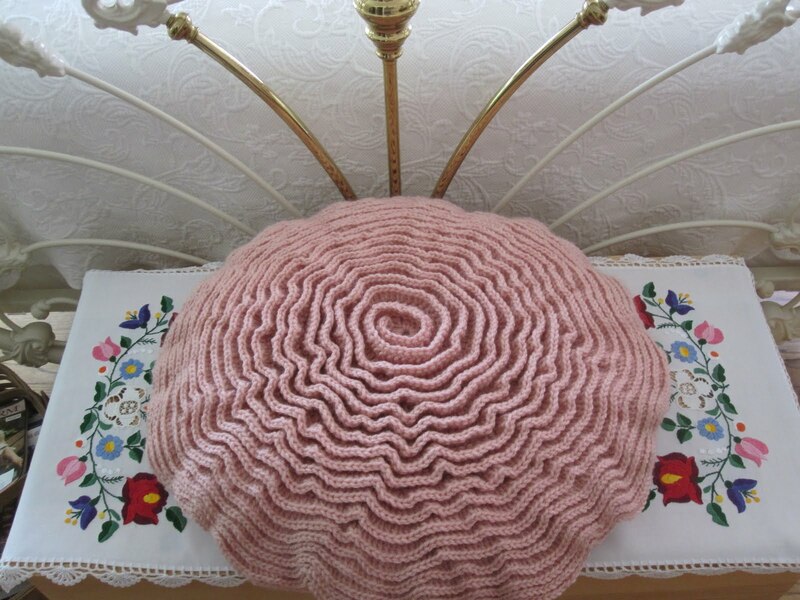 That seaside cupcake is too cute and my goodness do I ever love your pink pillow. Hope that you find a wonderful spot for it! Catherine, love your cupcake, it is fabulous. I know, this happens to me as well, sometimes I start out with a picture in my mind of what I want to do and then when I sit down to work on it, things change for me and I go in another direction altogether. I love your cupcake and pillow. I am trying to do a crochet cupcake and I chanced upon your beautiful blog. Love all those cupcake paintings. Pretty pillow and cute cupcake Cathie! MAKES ME THINK OF KIRA IN HER APRON AND MAKING HER CUPCAKES !!! HOW CUTE !! SEE YOU WED. OR LET ME KNOW !